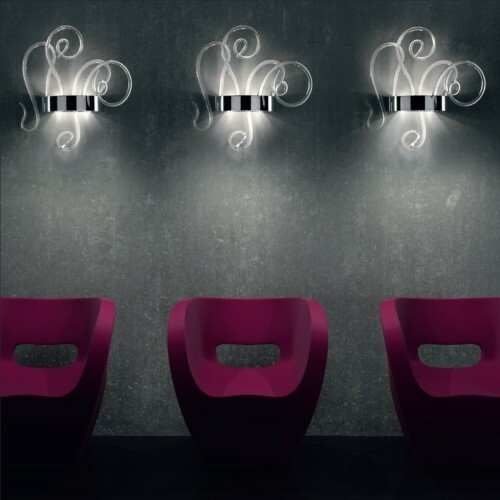 Wall lights have been popular for centuries, and they have certainly come a long way from the wall candle holders of the middle ages. 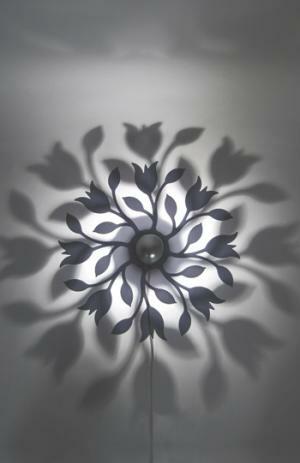 Today you can find pretty much any design you can think of to illuminate your walls (although candles are still a very popular choice). As you know by now (if you have followed this blog), bland items and common design are not things that appeal to me. 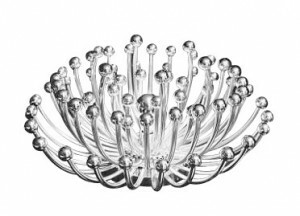 I’m not looking for the outré, but rather stylish items that stand out from the rest and show true creativity and innovation. The Tulip light from Swedish company Globen is as much a work of art as it is a lamp. 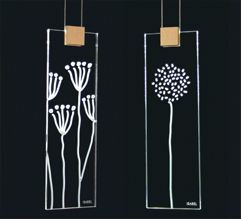 It is made of smoke-colored or white plexiglass and looks great unlit and amazing when lit. This one is such a classic. The “Fun” wall sconce by Danish designer Verner Panton (one of my absolute favorite mid-century Scandinavian designers, sadly he is no longer with us) comes in many versions and as I am sure you have seen, the style has been reproduced by many. This wall light is made from real mother-of-pearl and metal (with a transparent cord) and produces a gorgeous, soft light. 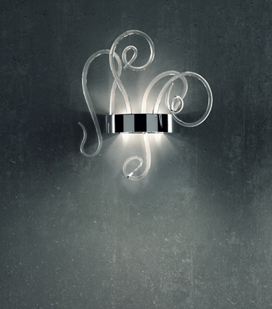 The Aspid P comes from Italian design house Leucos and is such a fun take on a wall light. 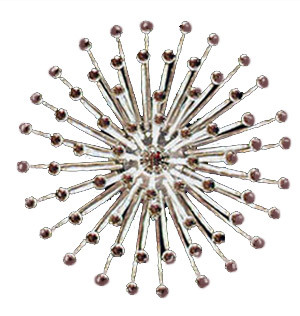 Fabulously designed by Danilo De Rossi, it is made from hand shaped Murano glass and chrome and comes in amethyst, red, black, and crystal, both as a pendant and wall lamp. 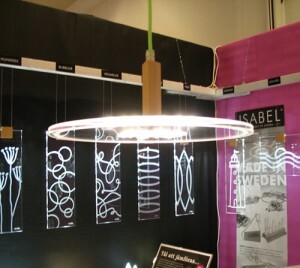 Totally new and unusual design and construction from Swedish company Isabel. 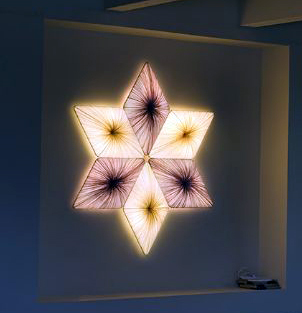 Their lights are made from plexiglass, birch wood and metal and can stand on their own, be suspended, or hung on walls and windows. 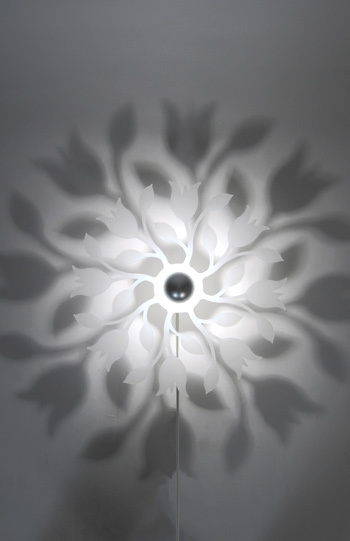 The light is produced by multiple tiny light-emitting diods (LEDs), which use very little energy, making these lamps both environmentally friendly and cost-effective. 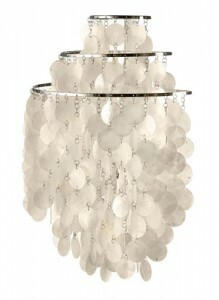 The life expectancy of these LED lights is around 100,000 hours! So fun and retro, the Pistillo was designed by Italian Studio Tetrach in 1969 and looks as great today as it did back then. It is made from chromium plated resin, and can be used as a table, wall or ceiling lamp. 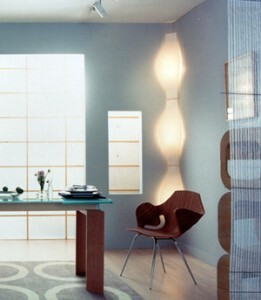 It also comes in a smaller size, cutely called Pistillino. 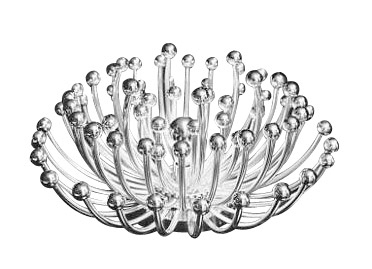 The Mod collection from British design studio Aqua Creations is simply stunning. 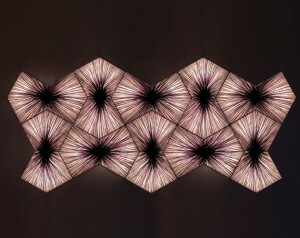 The lights are modular pieces made of metal and silk and come in different shapes and colors. 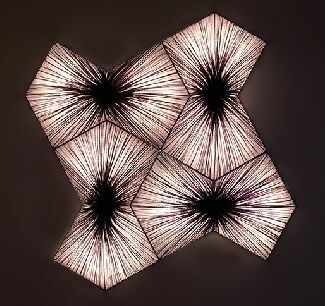 Use just one or mix and match for a totally unique wall (or ceiling) light. I love the Stella – an award winning corner wall lamp by Swedish designer Anders Ljungberg. 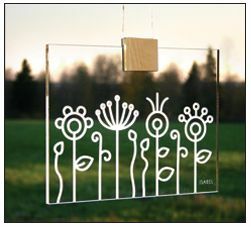 It comes with a metal frame that you attach to the wall and then add the cover, in plexiglass or fabric. The fabric covers come in several different colors and patterns, and you can use one, two, or three (or four if you have high ceilings) to create an entire illuminated corner. 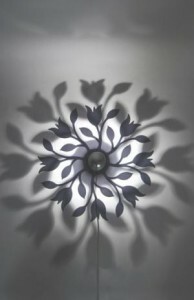 Also, check out my post on decorating with upholstery fabric for a great DIY fabric wall scone idea, the one on unusual wallpaper designs for a wallpaper with sconces built in, the radiator that also is a wall scone in the metal wall decor post, and my wall lamp post for some very unusual designs.